It’s official. I’ve finally become old enough to attend events that exist based on the fact that I am not all that young anymore. Namely, my high school reunion. Which happens to be this weekend. It turns out that my high school graduation happened TEN YEARS AGO. At that time, 10 years amounted to more than half of my life. Ten years seemed like pretty much the longest period of time possible. In the year 2000, 2010 seemed so far away it might not ever even happen, as far as I was concerned. Needless to say, I (and probably everyone I went to high school with) have changed a lot since I dodged football players and mammoth backpacks graced the halls of Wheaton North High School. Present Me: Hey Carlie! It’s me – you! Well, you 10 years in the future. How’s it going? High School Me: Whoa. Wow, I look different 10 years from now! PM: Yeah, let’s just say that Cetaphil face wash and eyebrow waxing were major game changers for us. HSM: Nice! Except what’s with those dorky-looking jeans? PM: Oh, they’re called skinny jeans, for obvious reasons. Everyone’s wearing them in 2010. PM: They kind of are. Enjoy the baggy cargo pants and overalls while you can, kid. HSM: So you’re me 10 years from now? How’s life in L.A. as a film director?? HSM: Cool. And you survived college? PM: Survived? High School Me, let me tell you something. You think high school is great, but just wait until college. Yes, you’ll be homesick for about 1.5 hours, but it’s all pure awesomeness from there on out. In fact, college is so great that you’re going to become mildly depressed and feel like the best part of your life is over once you graduate. HSM: Oh. But that’s not true, right? There will still be better things ahead in the future? PM: Uh…sure. Yeah. For sure. HSM: You’re not very convincing. PM: So! Refresh my memory – how are things in high school? HSM: Everything is great! Yesterday, Cynthia, Stacey and I went to 7-Eleven to get Slurpees after school and then we drove to Danada in Cynthia’s convertible with the top down even though it was only 60 degrees to go to Starbucks and see if there were any hot South boys riding around in Jeeps that we could smile and giggle at but not talk to. You know, the usual. PM: Ahh yes. Those were the days. HSM: Yeah and there’s a home football game tonight and Alisa is afraid that John is going to ask her to Homecoming because she wrote in a note to me that was masterfully folded into an octagon and decorated with 3 highlighter colors that Peter told Emilie and Shannon that John told Tony that he wanted to ask her. But she really wants to go with Mike. PM: Drama. Any plans for after the game? HSM: I’m sure we’ll go to Chili’s and just order water and chips and queso. Then Sarah said something about TPing the guys’ houses and putting Vaseline on their car handles, but we might just end up in Cynthia’s basement and watch Clueless and order Papa John’s breadsticks with extra garlic sauce or drive around and see who we run into. PM: Oh yeah, you guys don’t have cell phones do you? HSM: Huh? Well, Stacey has a car phone…? PM: Not the same thing. HSM: So if you’re from 2010, I guess our 10 year reunion is coming up? PM: Yep, they sent out the Facebook invite awhile ago and it looks like it should be a good turnout. PM: Nevermind. Well, it was good to see you, High School Me. HSM: Good to see you too! I’m glad you haven’t developed Mom’s bunion or varicose veins yet. PM: You and me both! HSM: Hey, if you see Sarah at the reunion, tell her I still want my Abercrombie shirt back. 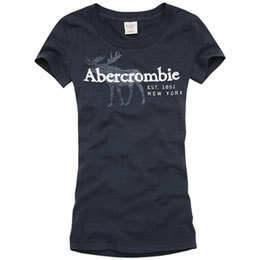 You know, the one that says ABERCROMBIE across the chest in huge letters. PM: Don’t all your Abercrombie shirts say that? PM: Oh, one more thing. There may come a time in the future when you consider drinking three Mega Margaritas over the course of two and a half hours at this Mexican place called Cesar’s in Chicago. DON’T DO IT. HSM: Ok. I’m totally having a Back to the Future moment right now. PM: I still love that movie! HSM: How could you not?? PM: Uh, no. We still have roads in the future. And cars. Transportation hasn’t really changed much. HSM: Oh. Ok. See ya! PM: Bye, High School Me! I’m kind of jealous of you right now. Well…no. Actually, I’m not. Not at all. This entry was posted in My life and tagged Carlie, Carlie Crash, high school, reunion, Year 2000 by carlieblissirwin. Bookmark the permalink. Arggh! High school me is not something I want to think about!But so glad you had a chance to revisit it in a clever way. Loved re-visiting my high school daughter and her friends! Oh, and thanks for mentioning the bunion and varicose veins. LOVE this. Cracked me up! Thanks for sharing. Thanks for sharing the memories Car!! It feels like yesterday we were riding around in the convertible. Can’t wait to make some new memories this weekend!! I only wish you could go back to Cynthia’s basement and have pizza and garlic bread sticks again. Miss you all!! Hope everyone has a good time at the reunion. And believe me, you are still very young!